This article was written and published in 2012. 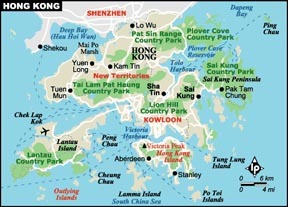 Since then, the Hong Kong government has allowed a number of new international schools to open. However, there is still a shortfall in the number of school places available and there is a potential bottleneck in the secondary years coming up as most new school places have been made in the primary years. Much of the article remains relevant with the additional note that ITS Tutorial Schools are now fully accredited for IGCSE, A-level and UCAS plus BTEC HND. At the time of the article we could only provide alternative schooling to younger children now we can provide alternatives for students in any school year group. The English-language press (and quite possibly the Cantonese press as well) is jammed with articles concerning the difficulty of placing children in the International schooling system in Hong Kong. It seems the market has outwitted the analysts in the world’s foremost market-driven, nay obsessed, society; and it is a school-boy error. Demand has outstripped supply. Plain and simple. The reasons why an International education has become so popular are varied and numerous: some parents prefer the curriculum and method offered by the International system; some feel that it is better for a student who will attend an overseas university to have exposure to the International system at the primary or secondary level; some feel that the quality of education in the private system is better, especially in English. Whatever the reasons for the popularity of the International schools in Hong Kong, the fact that they are very full presents problems. By restricting choice, there is created an unnecessary level of stress for both parents and children right at the start of their school career that could well be done without. Children need to be relaxed and happy in their school environment to have even the faintest chance of realizing their potential. If they don’t get to go where they want to, reluctance begins to creep in. And don’t forget how perceptive children are. They will pick up on parent worries very quickly – the little face hidden behind the door jamb has radar ears fine-tuned to judging parental emotions. To come back to those newspapers - why all the attention suddenly? And back we come to the market. Hong Kong is market driven in almost every aspect of modern living you may care to mention, which, in turn, makes it a city hungry for people. Experts. Professionals. The high-fliers who make the market go and who must be sourced from all over the globe and from all kinds of different fields, be they bankers, brokers, insurers, professors, doctors, lawyers and so on and so forth. What the market has been forgetting of course is that little word I used to describe this group – ‘people’. People have families. They have children. Children need to go to school. Employers have been finding a new resistance among the top people they wish to recruit from overseas as these people baulk at an impossible choice if they take a job: leave the family behind for months until a school place can be found, or take the family and have the kids moping about the house missing out on crucial months of education. The result? No thank you to the job. Hong Kong loses as a result. In the long-term of course, the government and the market will most likely see their way to providing more of the type of school places that parents want to see. The when and the where, though, are impossible to predict and we must be resigned to the shortage being with us for a number of years to come. There is too much of a time-lag between decision-making and the creation of a school and the decision-making itself is an excruciating process involving all kinds of risk assessment and counter-intuitive thinking. So what to do in the interim? You will probably be surprised to know that there is actually an answer already in place. The PSNFC – a wonderfully typical Hong Kong acronym for the Private School offering a Non-Formal Curriculum, itself a bit of a mouthful. In everyday language, essentially tutorial schools. I hear the howls of protest already, and it is true that there is resistance among the general populace to the use of tuition and even the existence of tutorial schools. But hang on a minute. Exactly why do you feel that way? Is your reaction based in fact? Have you done the research? Or is it perceptual, anecdotal? Good tutorial schools do, in fact, play an important role in the institutional structure of any modern society. As with any business field, there are the charlatans, the cheats and the downright incompetent. There are also the genuine, the honest and the highly professional. No fundamental philosophical reason for objecting to tutorial-based education exists in my mind. Indeed, in many areas of academic learning it can be considered superior to large-class teaching. It cannot, and should not, be a replacement for mainstream schooling which provides all the less tangible aspects of child development, such as social interaction skills, as well as having the resources for all the fun stuff such as blowing up the chemistry lab. But it does have a crucial role to play. Especially for the children of expatriate workers who desperately want to come to Hong Kong but are held back by the lack of school places. PSNFCs are able to provide a range of one-to-one lessons, specially tailored for the individual student’s needs. In this way, students who cannot be immediately placed in their chosen school can continue their education until a place is available for them. Timetables and lessons can be designed to help students make a transition between the education system they have left in their home country, and the one they will be enrolled in here in Hong Kong. It is also possible to give students from non-English speaking backgrounds extra language support so that they will be better able to cope with the demands of the English environment typical in the majority of Hong Kong International schools. There is enormous flexibility in the subjects a child can choose to take while they wait for a school place to come up, the volume of lessons they have and when they have them. They can be arranged to fit around other activities such as sport, and you have no trouble if you want to pop off for a holiday during ‘term time’ thus beating the peak holiday periods and all the queues and costs involved. Of course, it cannot be denied that a school environment is the ideal place for students to do their schooling and to integrate into their new community. But if faced with the possibility of several months’ wait for a space in an International school, a PSNFC can provide an ideal schooling alternative to fill the interim – even if it’s just a couple of hours of Maths and English a week. This is the easy part. Just treat the decision process as you would your choice of mainstream school. First of all, if a school identifies itself as a PSNFC then you can be fairly certain it is fully registered with the Education Bureau, but this is still the first question to ask. If a tutorial school is not registered then hang up the phone. If a school is not registered it is either too small to be able to cater to your needs (registration is not required of schools having less than 20 students a day), or it is illegal. You can easily check the registration status of PSNFCs with the EDB. Registration means that the school’s premises have been inspected and passed as fit and safe for use as a school, that the teachers have minimum qualifications, and that the fees have been approved and there are proper procedures in place for billing and refunding. Above all, it means that you can complain if a school behaves improperly and the EDB can investigate and take action, including removing the registration licence. After you have established this all-important fact, it is simply a question of visiting the school (if possible) and talking to the school manager and/or principal. If you can establish that the people running the school do so with the principles and ethos that you require then you have your PSNFC and you have your child’s welfare in safe hands for the few months waiting to get into the mainstream. ITS can provide Educational consultancy and school placement services for interested parents.